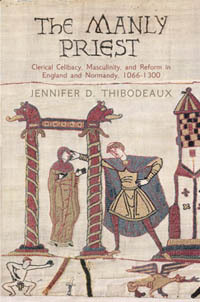 As Michael Staunton reminds us, the second half of the twelfth century was a particularly fertile period for historical writing, because many interesting events, including the murder of Archbishop Thomas Becket and the Third Crusade, took place, and many great historical developments in law and government, Church and state, and England's relations with her neighbors occurred. A number of able historians, all with different backgrounds and interests, recorded these events, and this enables us to go beneath the surface and see how people thought about the world around them. 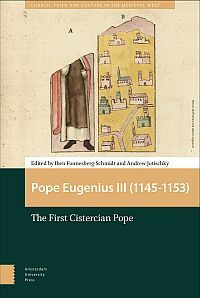 These authors were writing a new kind of history, of contemporary events, since the talented Anglo-Norman, mostly Benedictine, authors writing about the past to justify the privileges of their houses, had largely covered events prior to the coming of the Angevins. Staunton's work is divided into two roughly equal parts, the first of which describes some of the most important writers of the period, beginning with Roger of Howden and Ralph of Diceto. Roger of Howden served Henry II as a clerk, ambassador and justice of the forest, and accompanied Richard I on the Third Crusade. Ralph of Diceto was the dean of St. Paul's in London. Both men were members of a new class of professional administrators, whose works betray their interest in and familiarity with the inner workings of government. By virtue of their positions, they sometimes witnessed the events that they recorded, and they had access to supporting documents and to the eyewitness accounts of their colleagues. By contrast, William of Newburgh, an Augustinian canon, seems more like his Anglo-Norman predecessors. While following the chronology of Roger of Howden's narrative, with digressions to add background information and fantastic stories, Newburgh passes judgment upon his subjects' actions and interprets them in light of God's ongoing effort to punish evil-doers and reward the good. Other historians of the Angevin period offered more specialized works dealing with particular subjects. Gerald of Wales was educated in the Paris schools and taught there as a master before becoming archdeacon of Brecon. His educational background is reflected in his use of classical models in his writings. Staunton dubs him the "master of the monograph" because of his numerous shorter writings on particular subjects, such as his several works on the conquest of Ireland and his account of the quarrel between Archbishop Geoffrey of York and the royal chancellor, William Longchamp. Gervase of Canterbury and Ralph of Coggeshall were both monks, Gervase a Benedictine and Ralph a Cistercian, and both were quite naturally preoccupied with the affairs of their own orders. Both authors offer many supernatural tales, and Staunton raises the question of whether these are symbolic or realistic while cautioning against overinterpretation. Richard of Devizes, a monk of St. Swithun's at Winchester, wrote about the reign of Richard I, and since it is difficult to identify his sources, Staunton asks what we are to make of some of his stories; for example, should we consider his story of the murder of a Christian boy by the Jews of Winchester an account of a real happening or a satire of other ritual murder stories? Richard de Templo, a canon of Holy Trinity, London, also offered an account of the Third Crusade, the Itinerarium Peregrinorum et Gesta Regis Ricardi, which is based on a French verse composition by Ambroise, Estoire de la Guerre Sainte, and displays many of the characteristics of the chanson de geste tradition. Rounding out Staunton's collection of authors is Walter Map, another product of the Paris schools, who served as a clerk to Henry II and Bishop Gilbert Foliot of London before becoming a canon of Lincoln and archdeacon of Oxford. His collection of stories about court life are certainly entertaining, but once again, Staunton cautions the reader that they may not all be true. The information contained in the first part of Staunton's work is indispensable for anyone working in the Angevin period. For example, it is well to know that of all the authors who wrote about the Third Crusade, Roger of Howden was the one who actually went. And Staunton's discussions of symbolism and satire are certainly both valuable and necessary. The second part of the book also makes it an excellent addition to any graduate level historiography course, useful to students working in any period of history. Here Staunton changes his approach, focusing on the ways in which these and other authors interpreted the historical events that they recorded, and in so doing shows the reader what historiography actually is and how its methods can shed new light on the happenings of the distant past. The overriding theme in this section of the book is the working out of salvation history, in which God rewards the good and punishes evil doers. 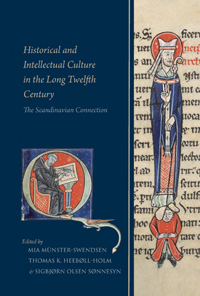 The first three chapters are devoted to Henry II and especially to the rebellions of his sons. In early biographical sketches of the king he was portrayed according to the classical model of Suetonius, as a formidable warrior who nevertheless always sought peace; generous, affable, and intelligent; and doing everything for the good of his people. This image was difficult to maintain after the Becket murder, and so Henry became the penitent king, in the mold of the biblical King David, who repented after being rebuked by the prophet Nathan. The rebellion of Henry's sons in 1173-74 was God's punishment to Henry for taking Eleanor of Aquitaine away from Louis VII of France and for the murder of Thomas Becket. This belief was strengthened by the fact that right after Henry did penance for the murder, the court received the news that King William the Lion of Scotland, who had joined the rebellion, had been captured at Alnwick. However, King Henry continued to sin, committing adultery with Rosamund Clifford and refusing to keep his promise to go on crusade, and as a result died alone and abandoned. The theme of sin and its consequences continues in accounts of the Third Crusade. The loss of Jerusalem in 1187 was seen as God's punishment for sin, although opinions varied about exactly what the sin had been. Richard I himself was painted as the perfect knight-king, a paragon of chivalry, and dubious endeavors such as the captures of Messina and Cyprus, both with Christian populations, were interpreted as vital to the success of the crusade. The authors blamed the failure of the crusade on the sin of pride, because the army had become proud of its accomplishments and did not acknowledge God's role in its initial victories. When King Richard was captured on his way home, they suggested that it was divine punishment for having rebelled against his father as he lay dying. Staunton also applies the intertwined themes of sin, punishment and repentance to broader trends as well as to the actions of individual people. When Staunton turns to issues of Church and government in the Angevin period, he shows that the great sin of Becket's murder hung over everything. For example, the long quarrel between the Canterbury monks and Archbishops Baldwin and Hubert Walter over the establishment of a separate college of canons, first at Hackington and later at Lambeth, is cast as a further attack on Saint Thomas himself. Similarly, the wrangling between Archbishop Geoffrey of York and royal chancellor William Longchamp, which culminated in Geoffrey's arrest at Dover priory when he returned from exile on the continent, is replete with parallels to Becket's exile and murder. Applied to England's relations with her neighbors, Staunton demonstrates that the Normans conquerors of 1066 were portrayed as instruments of divine justice, and that in the same way Henry II's invasion of Ireland was seen as punishment for the barbarism and religious deficiency of the Irish. Staunton's chapter on "Outsiders: Women, the Poor, Heretics, and Jews" is at once the least satisfying and most intriguing part of the book. An overriding theme, like that of sin and punishment in the rest of the book, is missing, and there seems to be little that can be said about some of these outsiders. However, the discussion of William Longbeard's revolt in 1196 in London sheds some light on the condition of the poor, and the discussion of accounts of ritual child murder and anti-Jewish violence is satisfyingly full. This chapter suggests that historiographical methods have something to contribute to the study of the lower orders of society as well as to that of great men and events, and graduate students looking for research topics will probably find some useful ideas here. 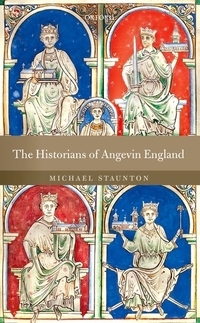 Overall The Historians of Angevin England is a both a worthwhile addition to the veteran scholar's library and a valuable selection for graduate-level historiography seminars.